Explore, experience and enjoy the beauty of the landscapes of Guatemala. 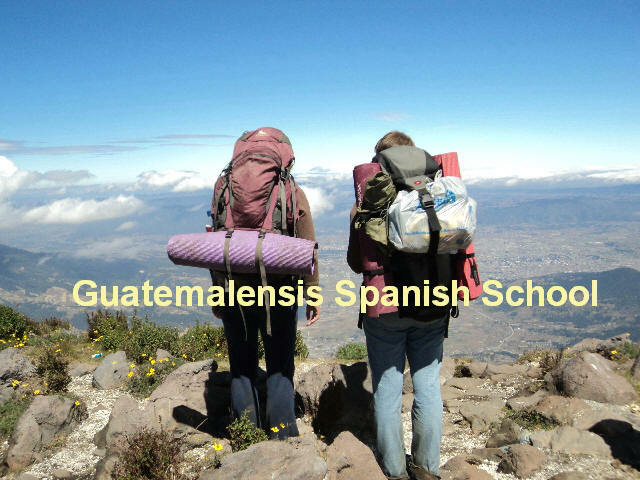 Guatemalensis offers a staff with 39 years of success organizing, leadering and guiding excursions in all Guatemala! With our program of tours, hikes, excursions and activities you can get to know many tourist attractions with safety. Enjoy hiking with us, climbing volcanoes and mountains in the western highland of Guatemala and get new energy and motivation. ALSO ADD MUCH MORE VALUE TO YOUR TRAVEL, IMMERSE YOURSELF IN THE CULTURE, LANGUAGE, NATURE, HISTORY AND BIODIVERSITY THROUGH OUR EXCURSIONS, EXPEDITIONS, HIKINGS, TREKKINGS TO VOLCANOES, MOUNTAINS, CITIES, VILLAGES, TURISTIC PLACES AND IN MANY OTHER LOW IMPACT OUTDOOR ACTIVITIES & CULTURAL INTERACTION OPPORTUNITIES. Study spanish, hike with us and participate in our low impact excursions program!......and get health! Explore, experience and enjoy the beauty of the landscapes of Guatemala with safety with a staff fully authorized, registered, certified as Local Tour Guides and with 39 years of success organizing, leadering and guiding mountaineering and excursions in all Guatemala! Only at GSS you will experience the adventure and not the danger. GSS was founded and is managed only by guatemalans; so, you will be assured that your money won't go into the hands of other foreigners. Rich in both natural and cultural heritage, Guatemala presents travelers with a wide variety of exciting and educational activities. 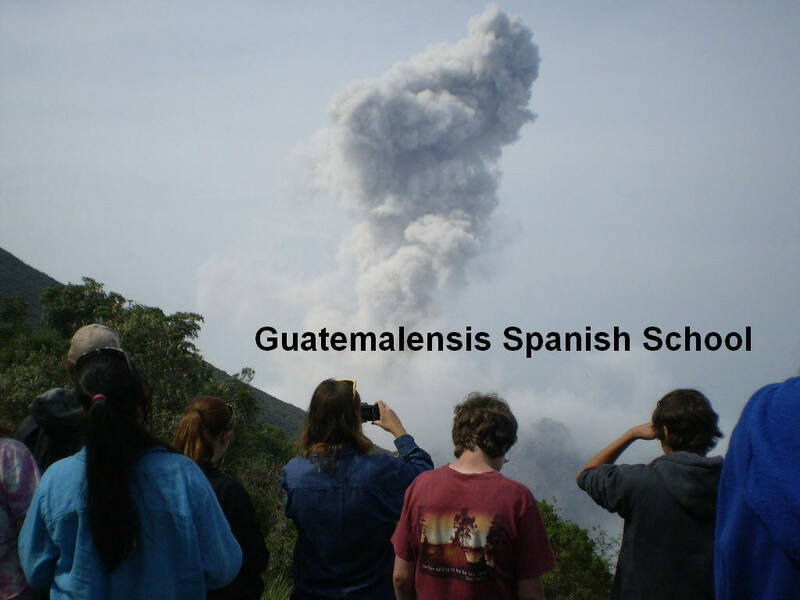 At GSS we organize excursions to help our students take advantage of all Guatemala has to offer. Past events have included hiking nearby volcanoes Santa Maria and Santiaguito, guided visits to area cultural sites such as the Mayan ruins at Zaculeu and Tikal or the technicolor church at San Andres Xecul, and learning opportunities such as Latin dance classes or weaving demonstrations. Moreover, our excursions are tailored toward the wishes of our students. 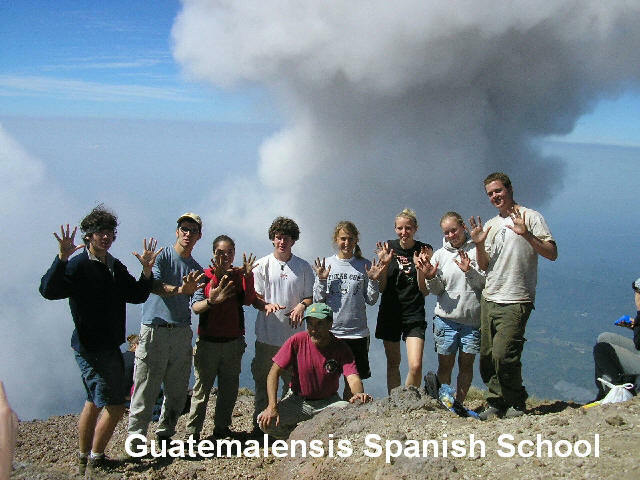 Whatever activity you hope to accomplish in Guatemala, GSS can help you realize it. Come and experience all that GSS can offer you. Only at GSS you will Experience the Adventure and not the Danger. All our activities and excursions for our students are created, planned and coordinated under high quality standards, security and are given in an educative context. Active Volcanoes, Hiking, Trekking,........And More! 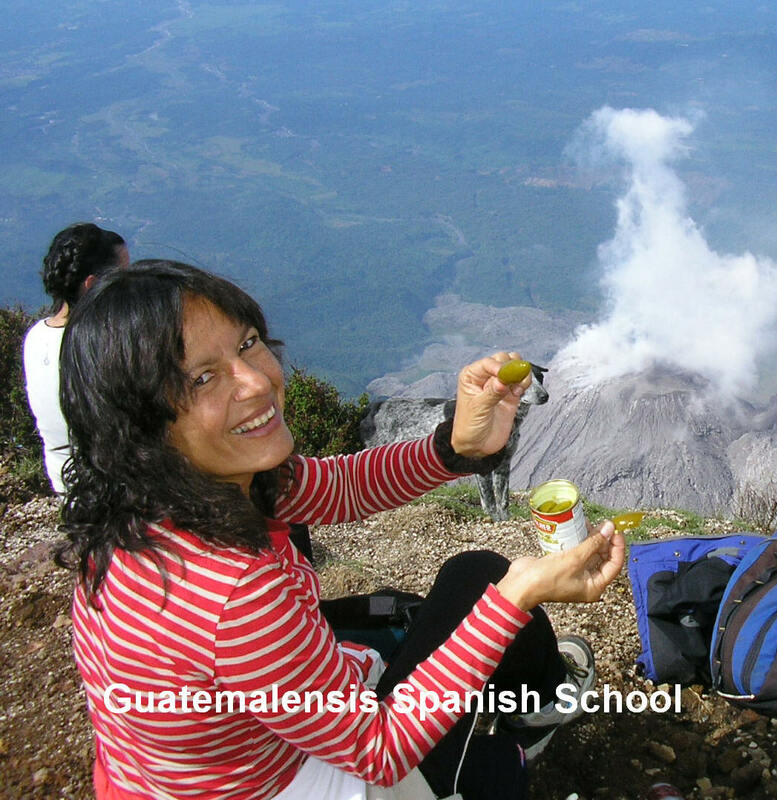 The best in spanish language teaching, immersion activities and excursions for you! Passion for volcanoes, mountains and adventure! "Even though I was going to Xela for several months to study spanish, I decided only to sign up of two weeks at Guatemalensis. It was a school that I had come across on the internet. 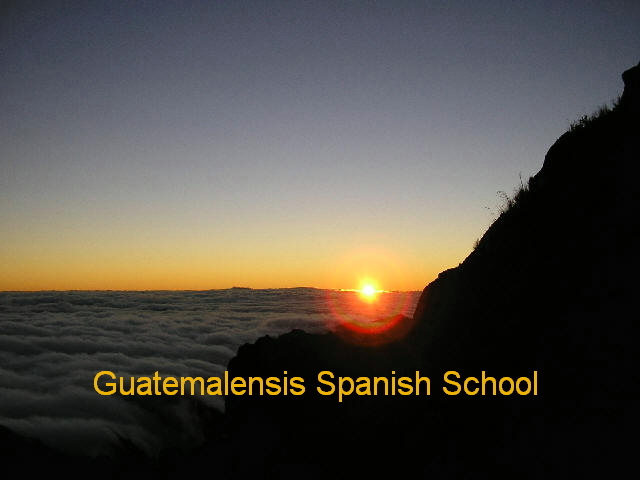 I liked the school and ended up staying at Guatemalensis for three months. I had a very full schedule but they were willing to work with me and were extremely flexible which enabled me to work on my master's in the morning and still be able to take spanish classes in the afternoon. " To, madala. 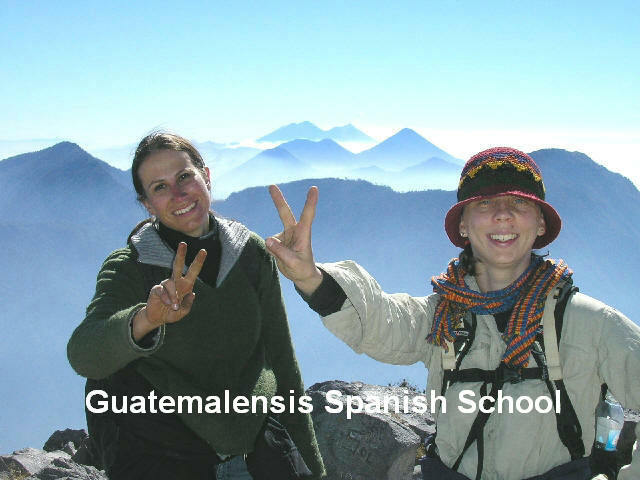 Heather Vezina, U.S.A.
Guatemalensis is a great place to study Spanish! The staff are wonderful -very helpful and accomodating. The trips that are arranged by the school are informative and fun as well. The Spanish spoken in Guatemala is easy to understand and that makes it easier for the students who are studying here. I was very impressed by the knowledge of both the language and the culture that the teachers have. I would recommend this school to anyone looking for a high quality school in a safe location. Nancy Sparacio (Spanish Teacher, U.S.A. COPYRIGHT ©1990-2020 GUATEMALENSIS SPANISH SCHOOL, GSS, Xinka Tours, spanland, www.spanland.com. All rights reserved. 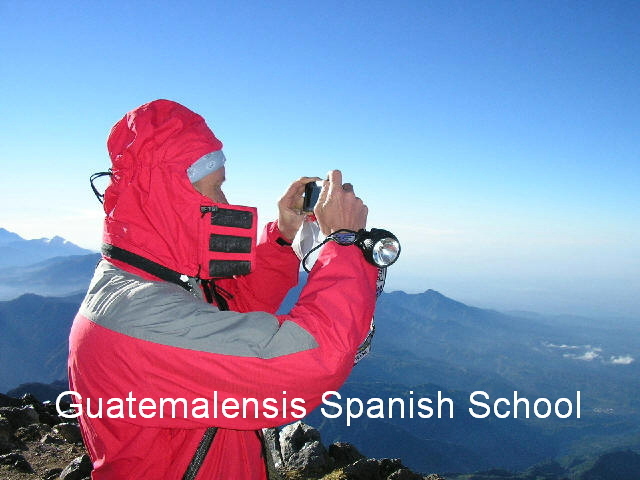 Authorized and Registered by the Ministry of Education of Guatemala and by the Guatemalan Tourism Institute. 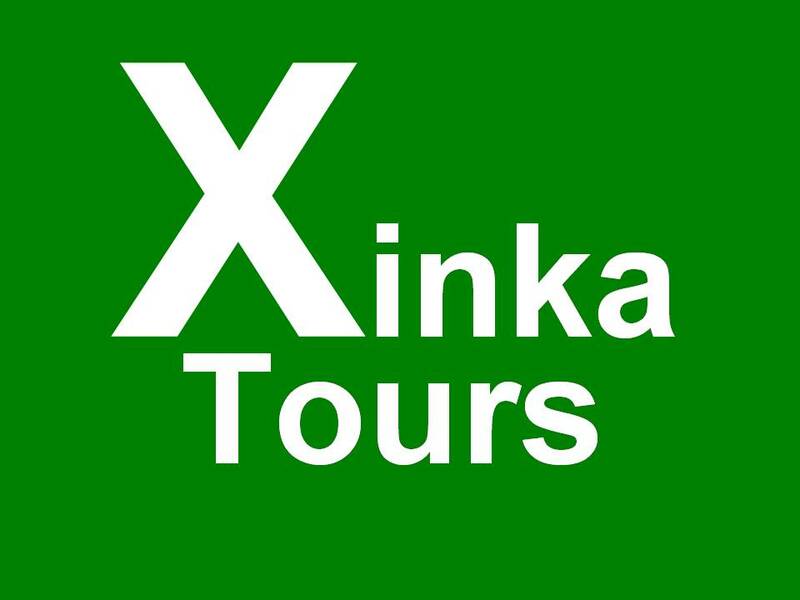 Certified, Authorized and Registered Tour Operator and team of tour guides.